Creative Arts Therapy utilizes art as the modality of psychotherapy. The art therapy practice is based on psychological theory and human development. It is a therapeutic treatment that fosters self-awareness, reduces anxiety, develops social skills and reconciles emotional conflicts. The art therapy process allows the individual to express their inner thoughts and feelings through the expression of art. This spontaneous process utilizes both emotional and symbolic communication. The art therapy session provides media exploration and both verbal and non-verbal expression using a variety of art materials. Clients will fully experience the art, and create paintings, sculptures, writings and drawings. The art therapy process explores all areas of the client’s life. 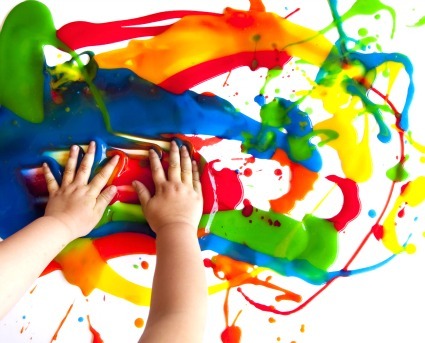 The goal of the art therapy is to assist with the challenges that the individual is facing and recognize how this may be impacting the client’s school, work, social life, self-esteem, and overall stress level. The client will identify triggers, feelings and emotions. Together, the therapist and client will develop coping skills to assist the individual to better manage his or her life. Content Copyright © 2011 Adam S. Weissman, Ph.D. All Rights Reserved.